If you had a soda machine that could distribute 106 flavors with a single push, would you care about whether it had high fructose corn syrup or not? Inside Scoop tells us about two new touch-screen soda dispensers at Winstop locations in Oakland and Emeryville that do just that. Simply line up your cup, choose from 106 flavors of soda and push a button. And voila. 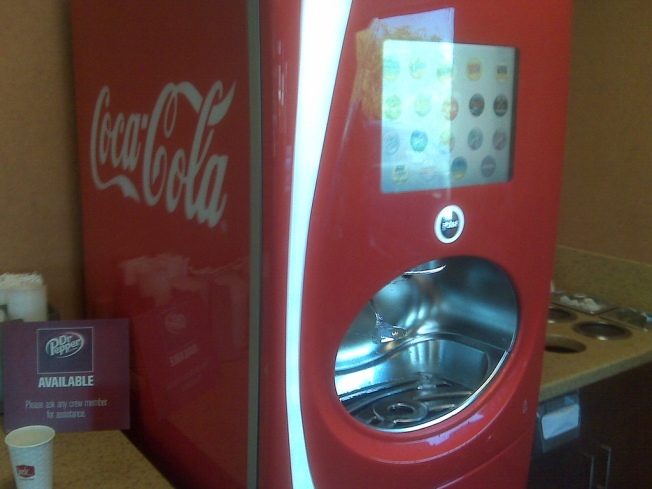 The machine is called the Coca-Cola Freestyle machine, and it is being dubbed the soda fountain machine of the future. But there is nothing special or unique about the sodas other than you have 106 to choose from instead of the traditional six or eight.